The Mobile County Recycling Center is a recycling drop off location and processing facility open to the public. Emerging from a collaborative partnership, the center was built by Mobile County and is run and operated by Goodwill Easterseals. Goodwill Easterseals has been operating this facility since November 2014 and has seen increasing volume that has now reached 110 tons of recyclables each month, which would otherwise be landfilled. The Mobile County Recycling Center is a project that was undertaken by the Mobile County Commission for the conservation and protection of coastal areas. The construction and equipping of the facility was funded with qualified outer continental shelf oil and gas revenues by the Coastal Impact Assistance Program, Wildlife and Sports Fish Restoration Program, U.S. 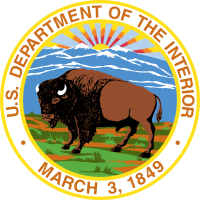 Fish and Wildlife Service, U.S. Department of the Interior. Funding for equipment is also provided by ADEM’s annual recycling grant.